Tis the season for holiday reads! Did you know that Be Bad, For Goodness Sake and Misletowed are both 99 Cents! If you’re a member of the KU program, Misletowed is included! Be Bad, For Goodness Sake is a M/F and Misletowed is MM, MF, MMF! Do you like cowboys? Cowboys Don’t Come Out is also considered a holiday read! 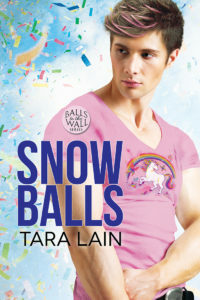 My latest release Snow Balls arrived just in time for this year’s holiday season! Do you like reading holiday stories? What are some of your favorites?